Belgian Thierry Van Cleemput will replace Australia’s Darren Cahill as coach of world No.3 Simona Halep. Former world No.1 Simona Halep has appointed Thierry Van Cleemput as her new coach and will begin working with the Belgian at next week’s Qatar Open. Halep had planned to fly solo for the first few months of 2019 after former coach Darren Cahill left to spend more time with his family in Australia. French Open champion Halep began speaking with Van Cleemput at last month’s Australian Open after he split with world No.21 David Goffin midway through the tournament, according to the WTA. 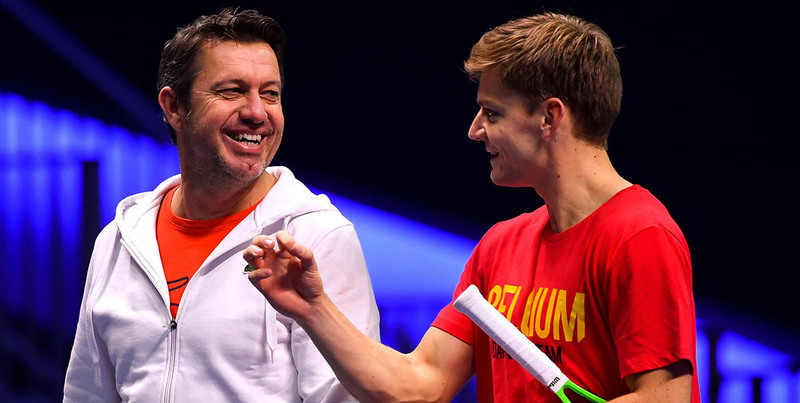 Van Cleemput had worked with his compatriot for the past five years, overseeing Goffin’s rise to the top 10. World number No.3 Halep, whose pre-season was shortened due to a back issue, made the fourth round at Melbourne Park where she lost to American Serena Williams in three sets. Halep will represent Romania in their Fed Cup tie against Czech Republic in Ostrava this weekend before tournaments in Doha and Dubai.